When looking to generate leads for your business, should you take a streamlined marketing approach, focusing on selling to targeted prospects, giving you the highest probability of success? Should your businesses cast a wide net targeting potential customers far and wide, whether they’re looking for your service or not? This question is still debated among marketers today. Some businesses swear by inbound, some swear by outbound marketing. Some businesses believe the best strategy is a combination of the two. The ongoing debate is which strategy is better for your business, inbound or outbound marketing? Outbound marketing is a direct selling method which usually gives reasons why your products and services benefit the target. It’s all about casting a wide net. The more potential customers you target, the greater your opportunity for business. The heart of any outbound marketing campaign is numbers. Because of the nature of outbound marketing — such as cold calling or billboard ads — your target audience isn't well defined. Let’s say you’re a designer about to launch a new fashion line for autumn. You know the latest catwalk trends from London to Paris and what's expected to be popular in the new season. You want to reach as many people as possible, showing them the reasons why your fashion line is the must-have this season. Outbound marketing strategies allow you to target a vast range of personas. They're designed to appeal to immediate buyers, those that can quickly move from prospect to customer. Take the John Lewis Christmas advert. It's the most highly anticipated advert of the year in Britain and sparks interest among a large group of people. Its TV reach is phenomenal, but on YouTube, it's racked up 10 million views! We can summarise outbound marketing with the following four words: identify, reach, sell, repeat. Rather than becoming embroiled in a tussle for attention, inbound marketing tactics focus on bringing customers to you. The statistics differ slightly, but the consensus is that between 70-95% of customers browse independently before contacting the seller. So, the heart of any effective inbound marketing strategy is content. By creating and sharing valuable content aimed at buyer personas, your business is targeting the right people. An inbound marketing strategy is designed to help you understand the targets buying experience – also known as the buyer's journey. The first stage of the buyer's journey is the realisation that they need to make a purchase. This is called the awareness stage. Once a buyer has identified the right product or service for them, they then research the purchasing options they have. This is called the consideration stage. Now that a buyer knows his or her purchasing options, they move onto the decision stage. This is where they select the product or service that meets their needs. Let’s say that you’re an online retailer of organic soaps. You offer a wealth of different fragrances, from hibiscus rose to vanilla lemonade. You want more people to appreciate the therapeutic and fragrant qualities your soaps offer; you want to grow your business. Awareness — Prospect's hands are dry out after washing their hands, so they search for 'how to stop my hands drying out'. Consideration — They read your blog about different ways to prevent dry skin, with one of those methods being to buy a bar of soap that increases moisture levels. Decision — They read your top 5 organic soaps for dry skin article and decide to buy a bar. Watch this video about content marketing, and you'll see how inbound attempts to educate the buyer, it doesn't try to sell a service you know nothing about. Creating and distributing content tailored to the needs of your clients is very effective for niche products. Buyers can be engaged and educated of all the benefits to them — in a personal way. Inbound marketing is a journey of discovery. The main goal is to build awareness and show the benefits of your product subtly, building trust and brand authority. We can summarise inbound marketing with the following four words: attract, convert, close, delight. Both inbound and outbound marketing strategies have their own merits. To consider which is most effective for your business, you must ask yourself what your objectives are. 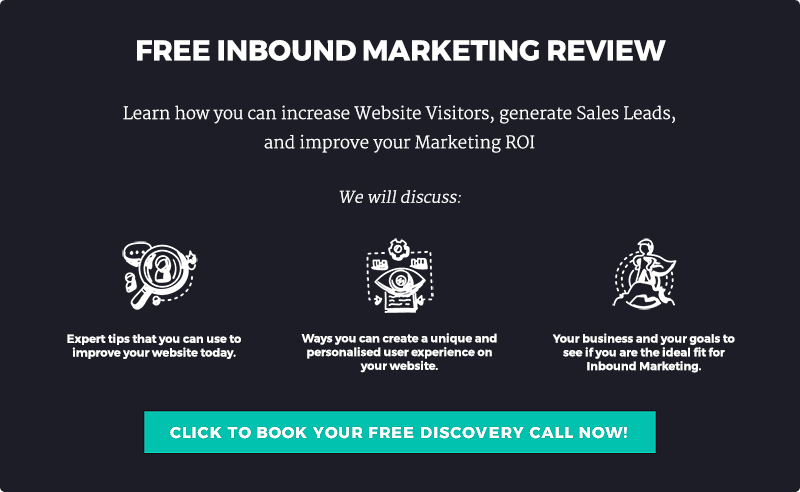 The biggest strength of inbound marketing is that it provides value to any potential customers. It’s not the hard sell. It helps you determine what the best solution to your challenge is. Inbound marketing builds a relationship between you and your customers. It sells what customers want, at a time that’s convenient for them. The other primary strength is the long-term ROI of inbound marketing. A solid inbound marketing campaign has a long-term strategy and goals, and the focus is on recurring revenue. The upfront investment may be higher, but the long-term financial rewards are greater. The long-term value of assets is better, because blog posts and premium offers can continue to generate leads for years at zero cost. The same cannot be said for re-printing leaflets for a direct mail campaign, offers expire, and they go in the bin. The biggest strength of outbound marketing is that it allows businesses to get in front of the largest number of people in the shortest possible time. Once launched, results can be achieved quickly. The wider you cast the net, the more likely you are to be successful. Outbound campaigns can help you establish or maintain a household name, think ASDA or Argos. Before choosing an inbound or outbound marketing strategy, there are several factors to consider. Only by knowing the following can you select the right one. Knowing your buyer personas is essential to the success of any business. This is how marketers connect, engage, influence and ultimately sell their products and services. Researching your market will give you a broad understanding of the types of buyer personas. Similarly, examining what your direct competitors do, and how effective they are will influence whether to choose an inbound or outbound strategy. Identifying your goals is vital when deciding between an inbound or outbound strategy. If you’re trying to target a specific group, an inbound strategy is most effective. If you want to try to influence as many potential customers as possible in a short period, then an outbound strategy is most effective. Depending on your budget, timeframe and products or services, effective strategies combine inbound and outbound tactics. This way you have the opportunity of boosting short-term sales while laying the foundations for long-term customer retention and business growth. Your strategy will affect your brand’s image. Aggressive cold-calling might see a spike in sales, but it may damage your brand’s image in the long run. How you promote yourself should be honest and transparent. It’s unwise to use inbound or outbound tactics that go against your core values. Customers see right through this. It takes time to earn a good reputation, but even the best reputation can shatter in a matter of moments! Inbound vs Outbound: Who Wins? Investing in an inbound marketing strategy will always win, but this is not straightforward. An inbound strategy needs investment, time and money before you start to see an increase in website visits, leads and customers. You have to be patient, but after around six months of deploying an inbound campaign, you'll start to see growth. Use outbound tactics while developing your long-term inbound strategy — such as pay-per-click campaigns. Structured pay-per-click campaigns will drive targeted traffic to your website, and over time will become an integral part of inbound campaign promotion. This will improve your sales process and position your business as a leader, making sales easier. Get the best results with a combination of inbound and outbound marketing tactics. But the main focus should be a long-term inbound strategy. You'll be able to control spend on outbound marketing because your inbound marketing machine will be fully developed.